What is the objective of this activity? 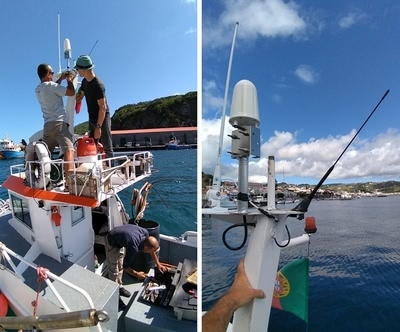 This activity aims to provide geotracking devices to a sample of voluntary fishing vessels in the Azores, Madeira and Canaries, in order to follow the distribution of their fishing activity, only for knowledge purposes. 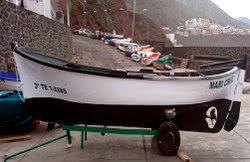 The experiment concerns a maximum of 3 voluntary fishers by OR with a strong priority for the vessels involved in the experimental fishing trips. Data storage: data will be transmitted to the Ifremer Fisheries Information System and probably to the referent data centre of each ORs partners. Data processing: Ifremer will use the AlgoPesca software and will provide it to other OR partners. The purpose of this experiment is to provide geotracking devices to a sample of voluntary fishing vessels in different outermost regions. The data collected will improve the knowledge on the distribution and nature of their fishing activity. The idea is to use very cheap devices, with no mobile subscription (connection to internet only through wifi). The tablets used are SAMSUNG brand. The digital experiment will focus on two essentials dimensions of the fishing activity: the spatial distribution and the logbooks. The geotracking application has been developed to measure and record speed, direction and GPS position of the boat. This application works offline: during a fishing trip, the fisherman is disconnected and all the GPS data is saved on the device. When the network is back, the saved data is uploaded to the server. 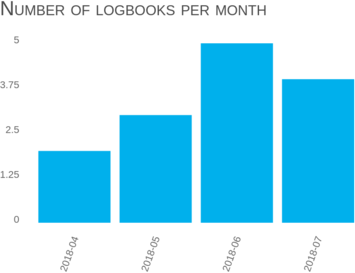 The ORFISH logbooks application allows fishermen (or experiments observers) to input their fishing logbooks. As the Geotracking application, this application works offline, and upload the data saved when the network is back: fishermen can input data whenever. The application can be used on smartphones, tablets and computers. 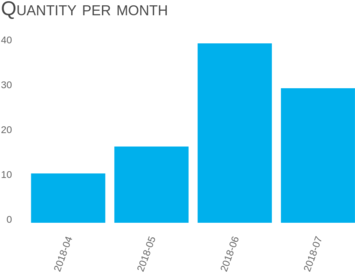 The data is entered day by day, gear by gear. For the first gear, the user specify the date, the number of hours, optionally the fishing zones, the gear used and, for each species, the capture made with this gear. 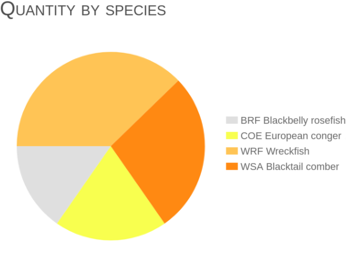 The ORFISH website also embeds an individual Fisherman Report (restricted access), where each fisherman can access and analyze all his data. Each trip report synthesizes the GPS tracking data and the logbooks to deliver a complete view of the spatial distribution and the landings of the trip. At the time of writing, 2 vessels of Canaries, 1 vessel of Azores and 1 vessel of Madeira have been equipped.